Flying is exciting, exhilarating, stress relieving, empowering, motivating, and addictive. Travel Express Aviation is a flying club offering aircraft rental, flight instruction, aircraft management, aircraft maintenance, and charter and is located at the DuPage Airport in West Chicago, about 45 minutes west of Hinsdale. It’s owned and operated by local residents Ken and Lori Phlamm. Instruction at TEA is private and scheduled to meet your availability, any time of the day, evenings, and weekends. Most lessons are provided on TEA’s aircraft, however, they are happy to train with you in your plane as well. Introductory flight lessons start at $135 for a one-hour flight lesson in an Archer (30 minutes of flight instruction and 30 minutes of ground instruction.) 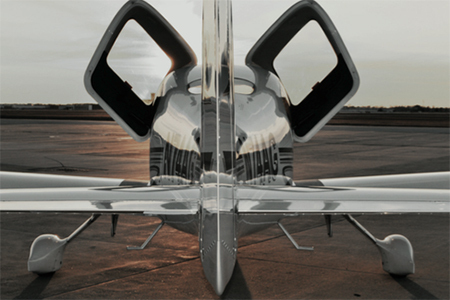 For Father’s Day or another holiday, make it special and go up for a 90-minute flight lesson in “every pilot’s dream plane,” the Cirrus SR22, beginning at $375 (one hour of flight instruction and 30 minutes of ground instruction). Travel Express Aviation is located at 3N060 Powis Road in West Chicago, 630-584-6462, flytea.com.